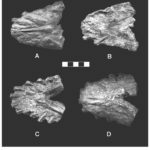 McAllister Butte, Pierre Shale, Logan County, Kansas, USA. 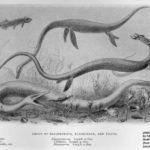 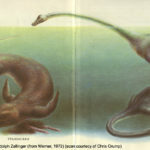 Elasmosaurus is one of the most widely recognised plesiosaur names and has become a stereotype for all elasmosaurids. 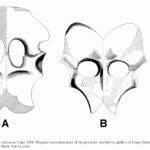 However, it is relatively poorly known. 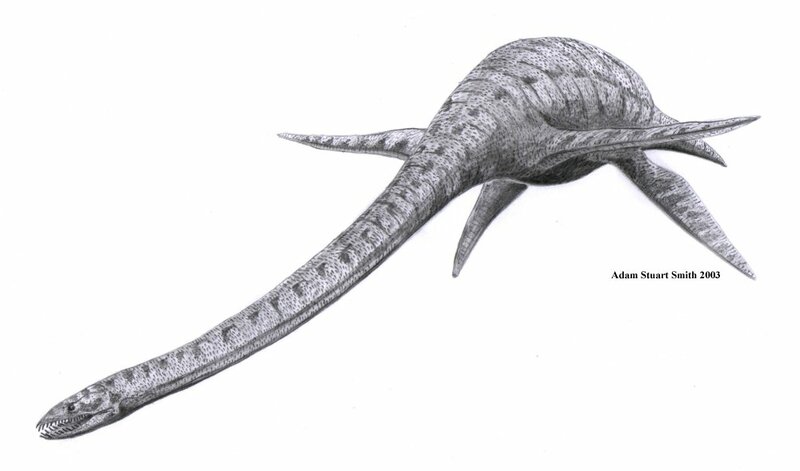 The type and only known specimen of Elasmosaurus platyurus (ANSP 10081) includes the tip of the snout, occipital condyle, and the majority of the vertebral column. 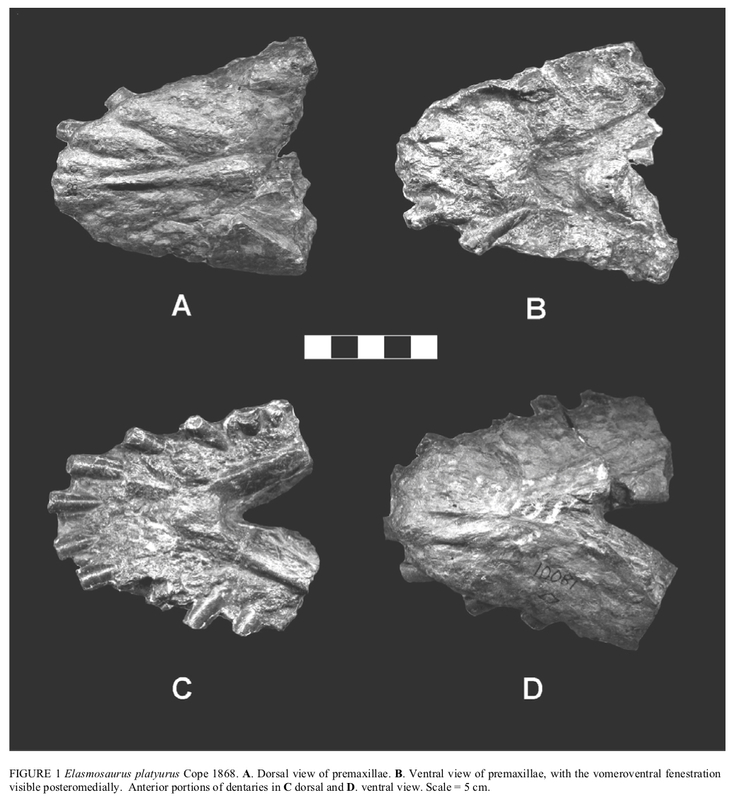 It is from the Sharon Springs Member (Lower Campanian) of the Pierre Shale, Logan County, Kansas, USA. 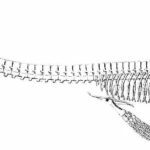 The limbs and most of the skull are missing and the pectoral and pelvic girdles, although figured, are also now missing and possibly destroyed (Carpenter, 1999). 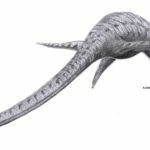 This is unfortunate because based on the figures, the pectoral girdle of Elasmosaurus appears to be atypical for elasmosaurids because it retains of a pectoral bar and a long midline suture between the scapulae. 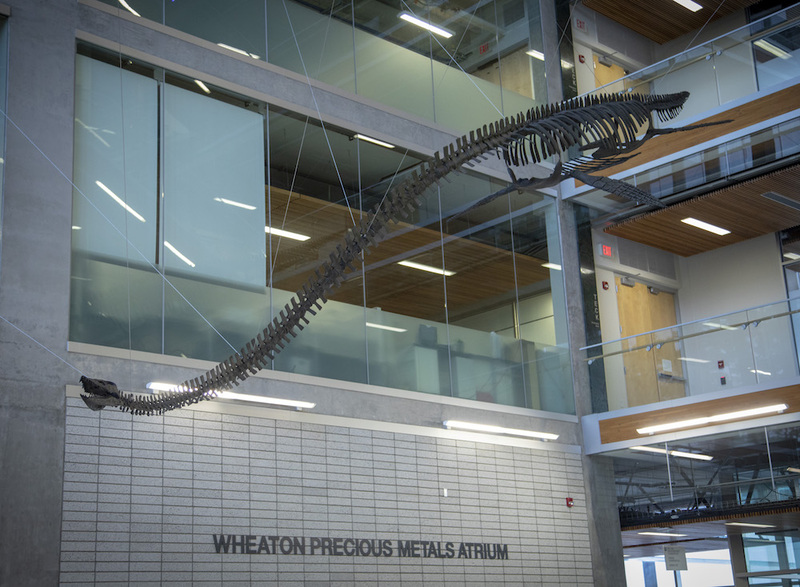 Elasmosaurus held the record for the greatest number of neck vertebrae (72) in any plesiosaur until the description of Albertonectes (which has 76) in 2012. 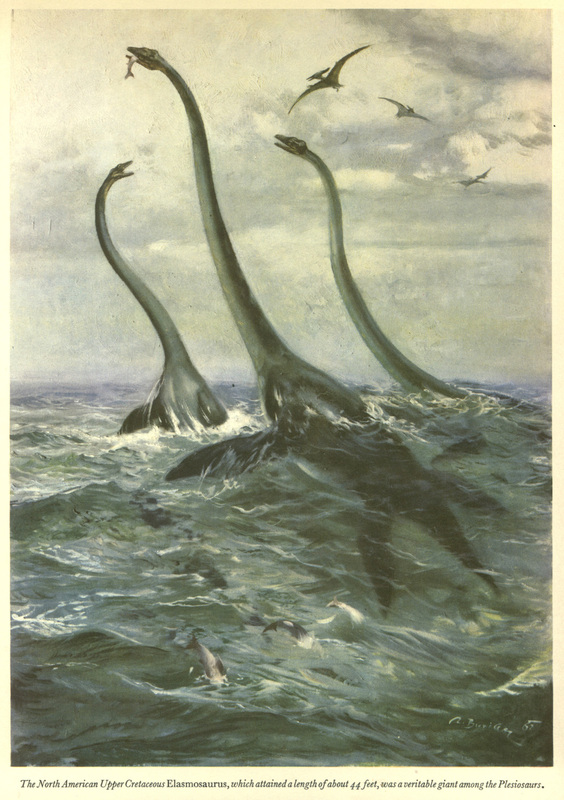 Many species of Elasmosaurus have been erected but they are all invalid or have since been referred to new genera. 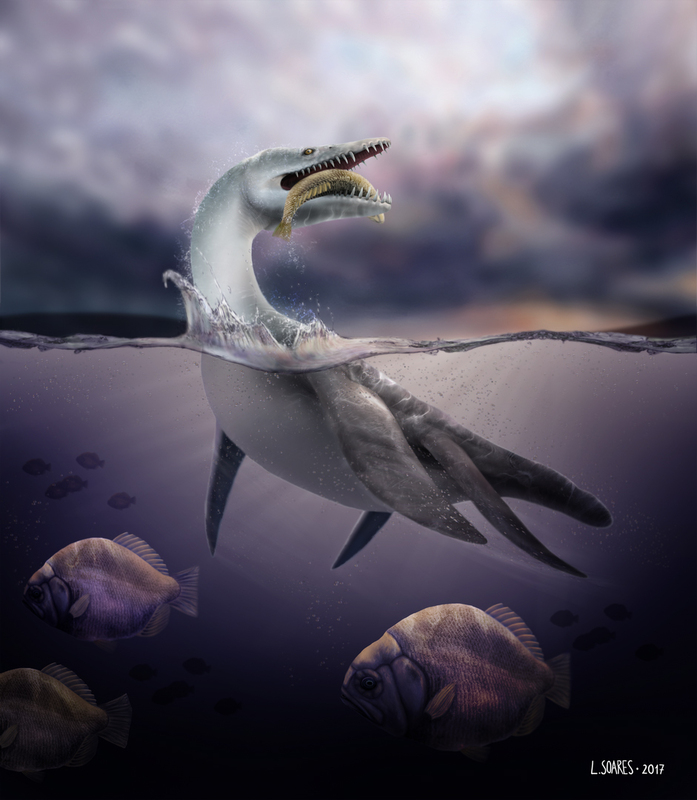 For example, the genus Libonectes was introduced by Carpenter (1997) for ‘Elasmosaurus’ morgani. 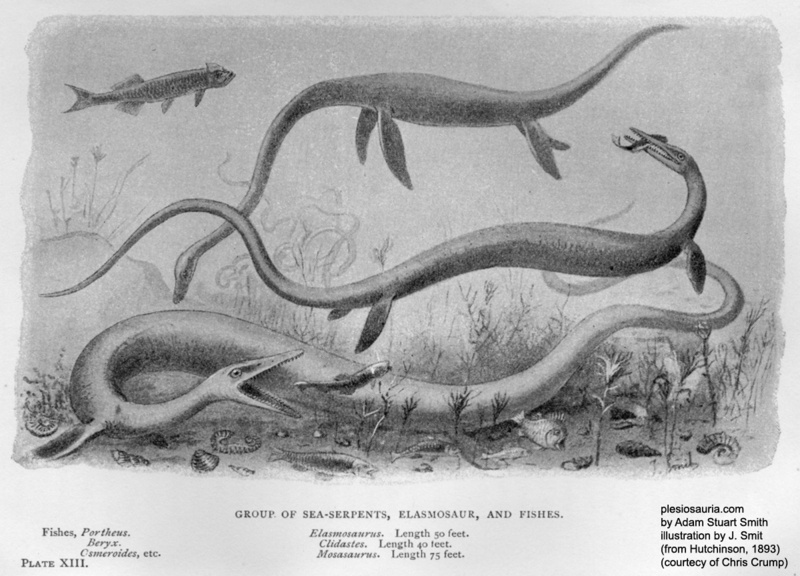 Elasmosaurus platyurus is therefore the only valid species belonging to the genus Elasmosaurus. 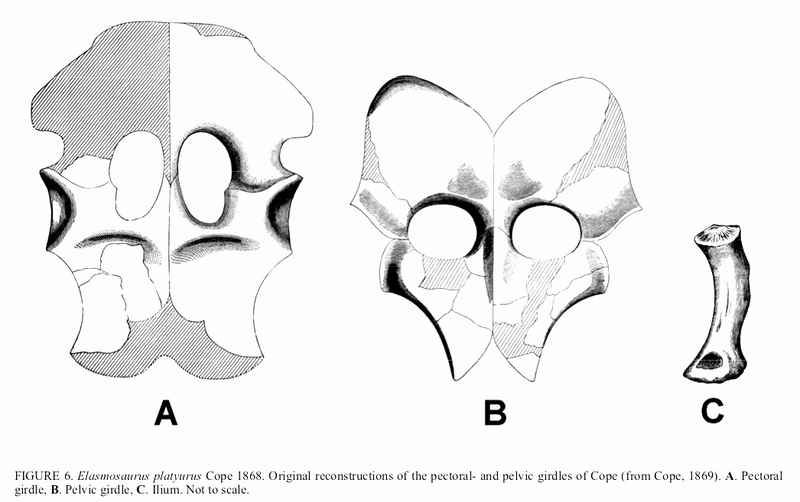 Elasmosaurus skull elements (from Sachs, 2005). 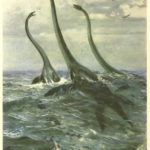 Elasmosaurus painting by Zdenek Burian. 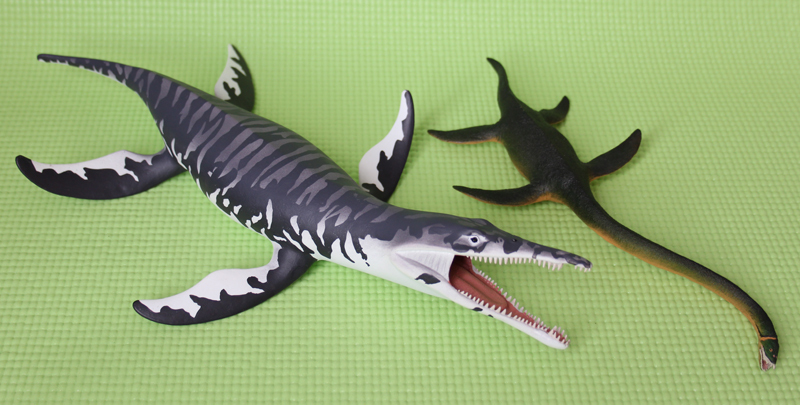 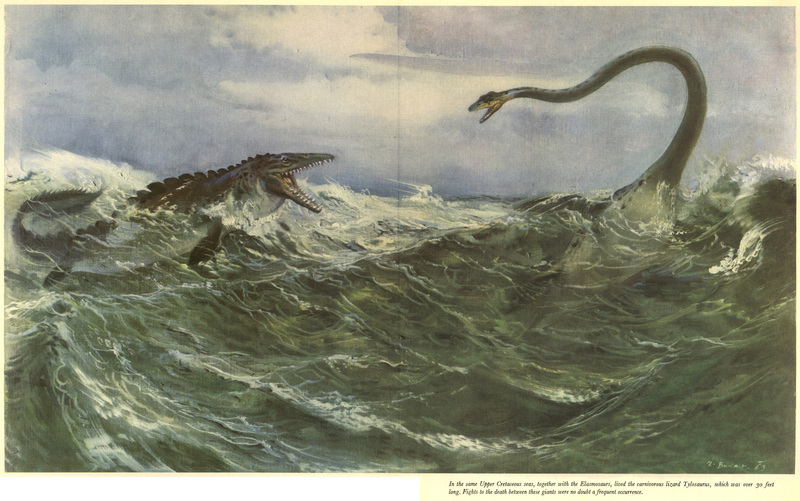 Elasmosaurus and mosasaur painting by Zdenek Burian. 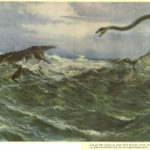 Elasmosaurus painting by Rudolf Zallinger.